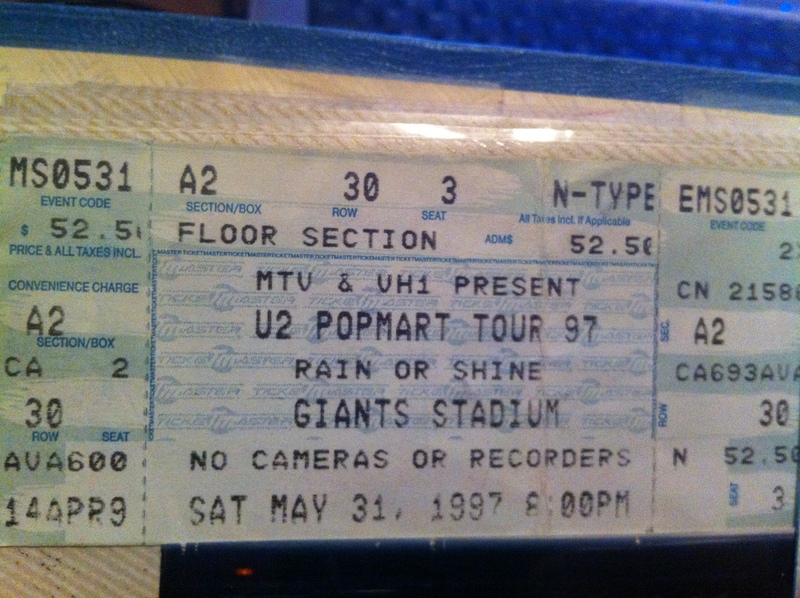 My next Popmart shows were at Giants Stadium in New Jersey on May 31 and June 1. My friend Laurie went with me. We were on the floor for the first show, but our tickets were in the stands on the side of the stage for the second. Ken, the crew member I had met in Pittsburgh, walked us down to the floor for the second show, so we could be close to the stage. As he was walking us around, it was time for the band to come out. We were walking around behind the stage as the guys were walking out. We stood right at the stairs as Larry, Bono, Edge and Adam walked onto the stage. I wasn’t allowed to scream obviously. I almost passed out from holding in my excitement. 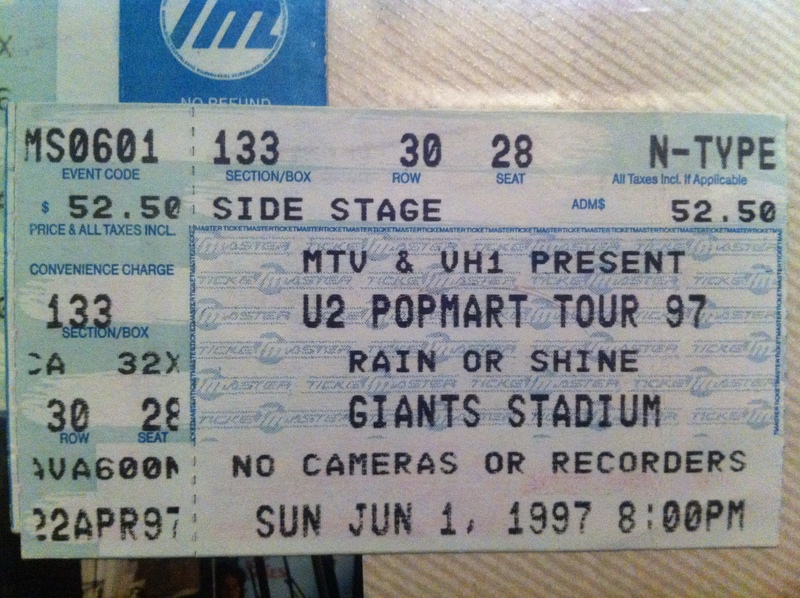 It was at this second show on June 1 that Bono and Edge performed Staring at the Sun acoustically for the first time. 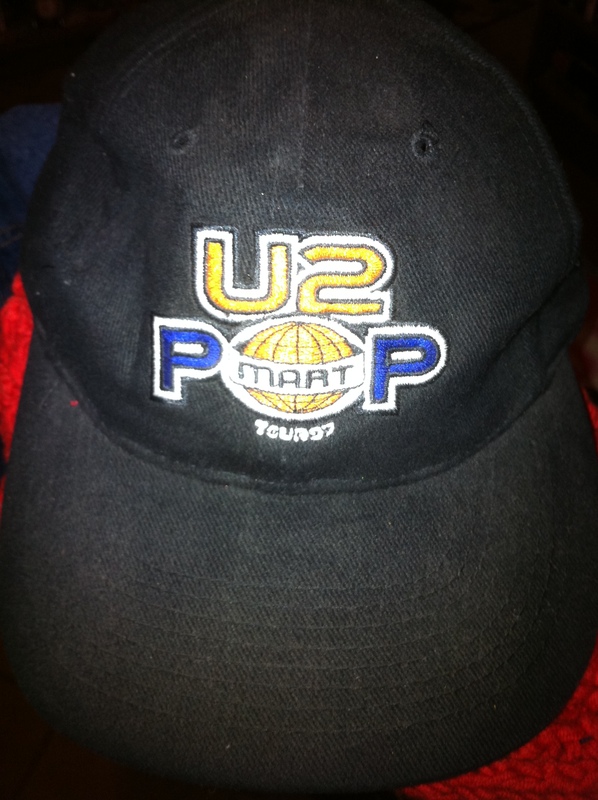 Popmart Jersey 5.31.97 Set List: Mofo, I Will Follow, Gone, Even Better Than The Real Thing, Pride, I Still Haven’t Found-Stand By Me, Last Night On Earth, Until The End Of The World, If God Will Send His Angels, Staring At The Sun, Daydream Believer, Miami, Bullet the Blue Sky, Please, Where the Streets Have No Name, Discotheque, If You Wear That Velvet Dress, With or Without You, Hold Me Thrill Me Kiss Me Kill Me, Mysterious Ways-Rain, One. 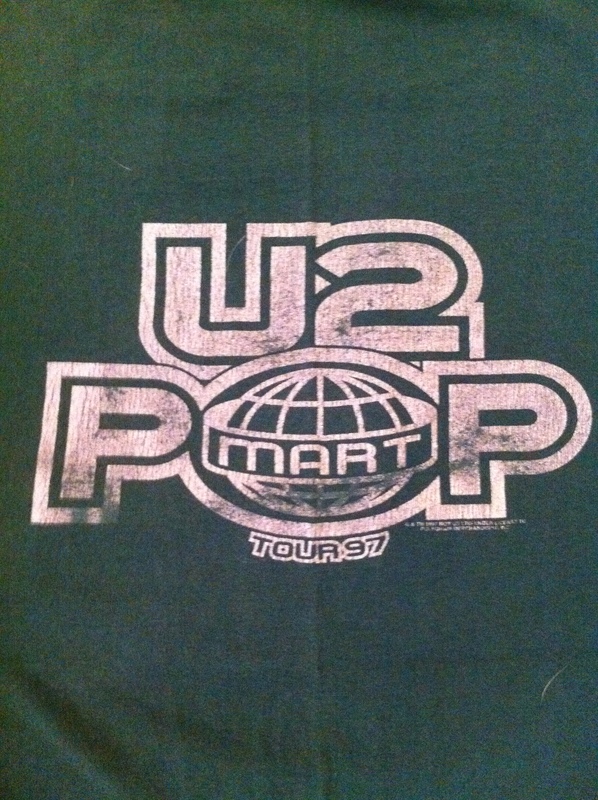 Popmart Jersey 6.1.97 Set List: Mofo, I Will Follow, Even Better Than The Real Thing, Gone, Pride, I Still Haven’t Found-Stand By Me, Last Night On Earth, Until The End Of The World, If God Will Send His Angels-Hallelujah, Staring At The Sun, Sweet Caroline, Miami, Bullet the Blue Sky, Please, Where the Streets Have no Name, Discotheque, If You Wear That Velvet Dress, With or Without You, Hold Me Thrill Me Kiss Me Kill Me, Mysterious Ways, Rain-One-Unchained Melody.